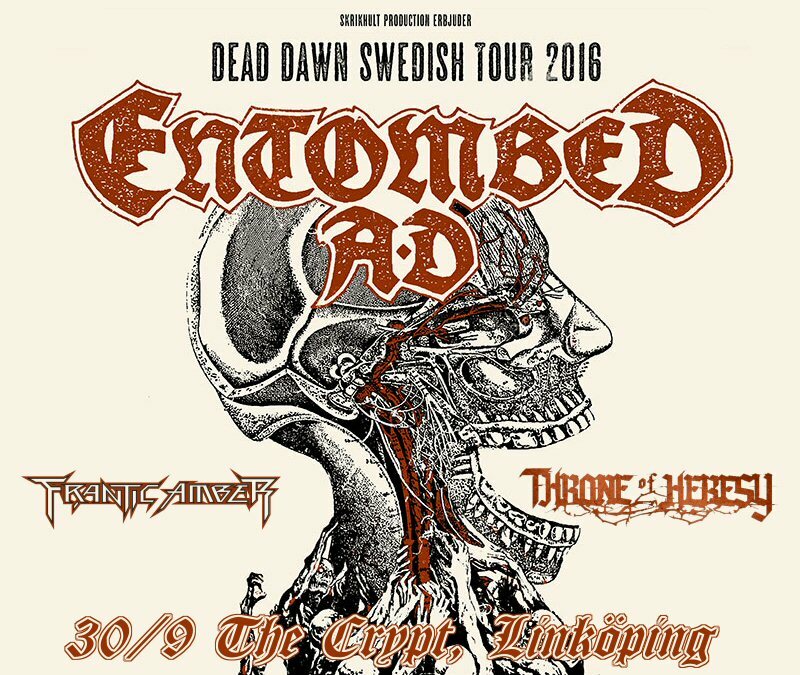 The death metal band Throne of Heresy will share stage with the bands Entombed A.D. and Frantic Amber in Linköping, Sweden at the club The Crypt at Ågatan 57 on September 30, 2016. Get your tickets to the Linköping gig here. For more information, check out the event page at Facebook.